Just a thought : Minox vs Aderans! We understand Ari is capable of growing hairs. But the hairs seems to be tiny like ‘‘bald’’ hair. Maybe they wanted to use Minox to get the hair to increase in diameter. Where are you getting the idea that ARI is growing little vellus hairs? Sparse coverage and weak hair shafts are two different things. All the feedback we’ve gotten about ARI so far points to good terminal-type hair shafts. » Where are you getting the idea that ARI is growing little vellus hairs? 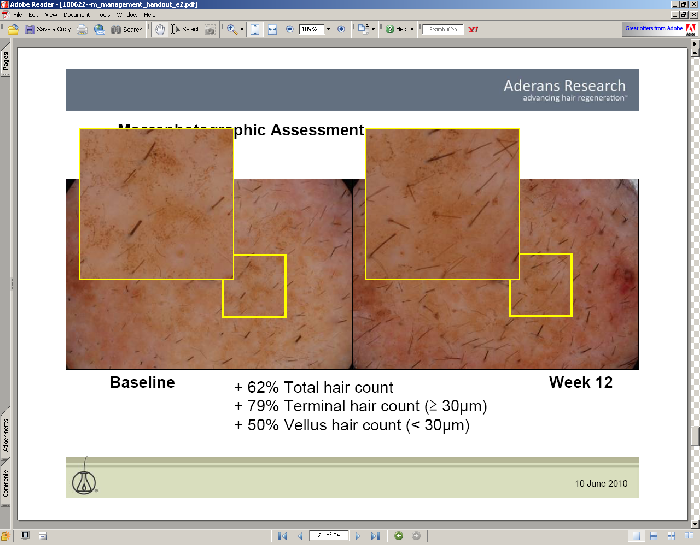 In the latest slides they have shown, there was an increase in vellus hair count too.